It goes without saying that when it comes to the unpredictable weather, we’ve gotten more than comfortable with being uncomfortable. How could we not? One minute it’s sunny and 75 degrees outside and the next day it’s a blizzard. In our efforts to always stay a few steps ahead of the storm, we’ve resorted to all necessary styling precautions to hopefully keep Us prepared. Tucked away in our trusty totes we’ve stashed removable layers that will always keep us ready (and warm). We’ve gone to such extremes we can confidently handle any weather throughout all four seasons! The time we don’t feel so confident or prepared for? Those in-between seasons, of course! The trouble with those in-between seasons boils down to one simple fact: we just don’t know what to wear. Sure, we can remove or pack away an extra layer, but most times our solutions fall flat. Weather will always be unpredictable regardless of the season, but shoe options shouldn’t be! Whether we’re looking to beat the heat in a comfortable staple or save our soles from heels, we’ve gone ahead and found the style-saving solutions. These five sole-saving shoes will save us from all that in-between season weather but our outfits will never fall flat. 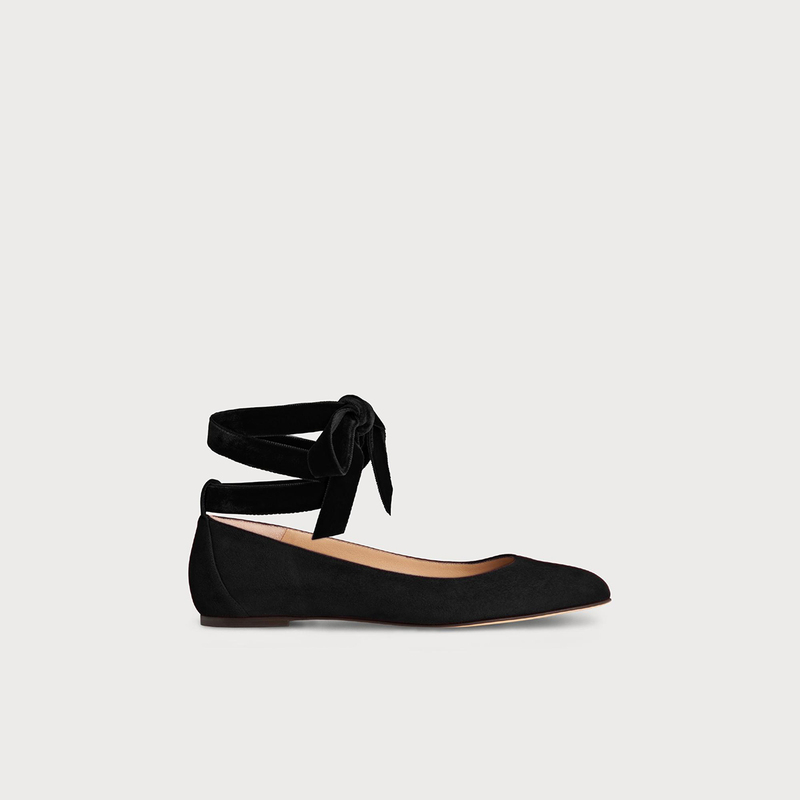 Spin into style with these ballerina-inspired Maddy flats! These sleek stunners are perfect when looking to add just a little extra something to our everyday outfits. Featured in black or red suede, these whimsical slip-ons highlight a rounded-toe front and low vamp. Elevated to elegance, the Maddy’s include a sumptuous velvet ribbon which gracefully wraps around ankles. Pair these flats to perfection with a cropped trouser, or even better an equally sleek slip dress! 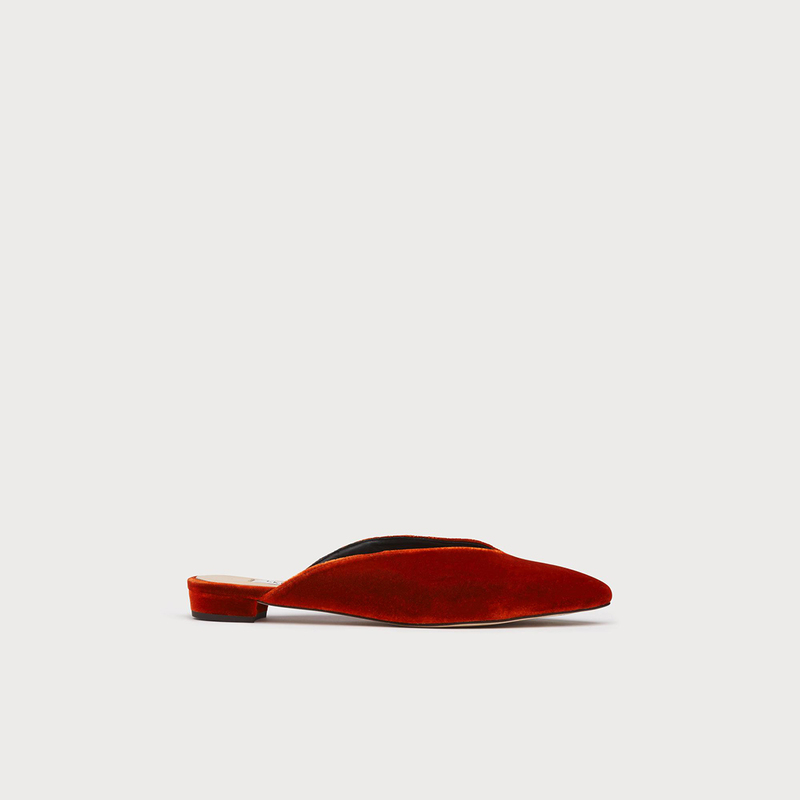 See it: Grab the Maddy Flats (originally $295) now only $148, available while supplies last at L.K. Bennett! The hardest part about transitioning from day-to-night is finding the perfect shoe that will be just as equally stylish. Save the worry and slip into the Erin Natural Canvas Mules! Crafted from natural canvas and Nappa leather, these backless shoes are the smartest and most casual design we’ve seen in a while. Featuring a slipper front styling, these effortless slide-and-go mules are nothing short of a warm weather must-have! Pair these to perfection with a white tee and medium-wash denim to make these the ultimate spring-to-summer transitional shoe! 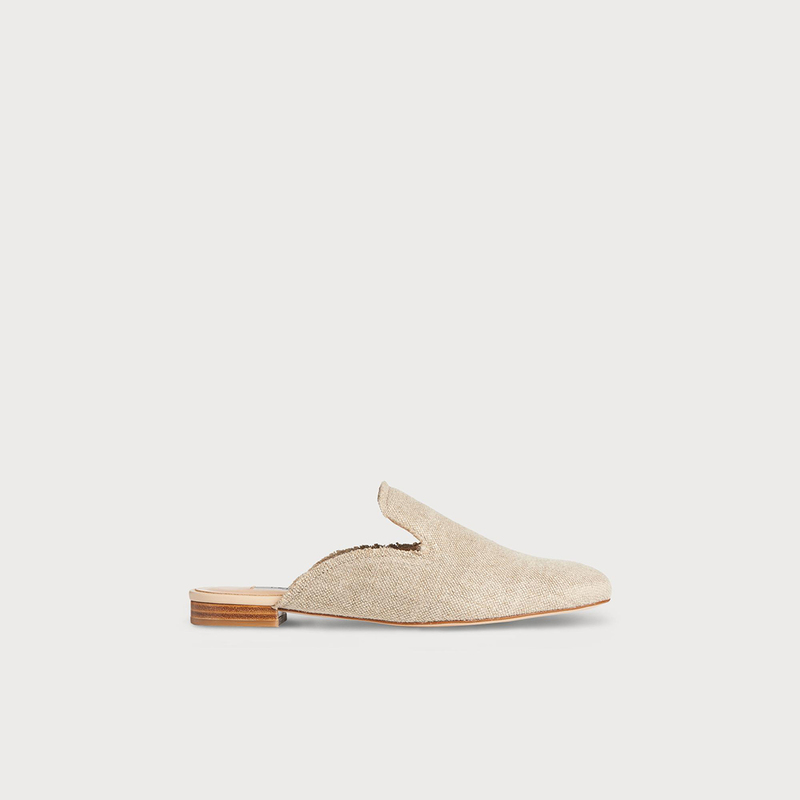 See it: Grab the Erin Natural Canvas Mules (originally $285) now only $86, while supplies last available at L.K. Bennett! For a limited time only receive an additional 25% off these mules! Don’t just keep shoes in mint condition, go for mint condition. The Erin Mint Leaf Suede Mules are the must-have mint mule to transition from day-to-night or season-to-season! Featured with an almond-toe front, a soft mint-leaf green suede and crafted from 100% leather, we can’t stop swooning over these stunners! Surely, we’d recommend going ahead and pairing these with a head-to-toe all-white look! Feeling a bit bolder? Reach for this dress and leave everyone green with envy! 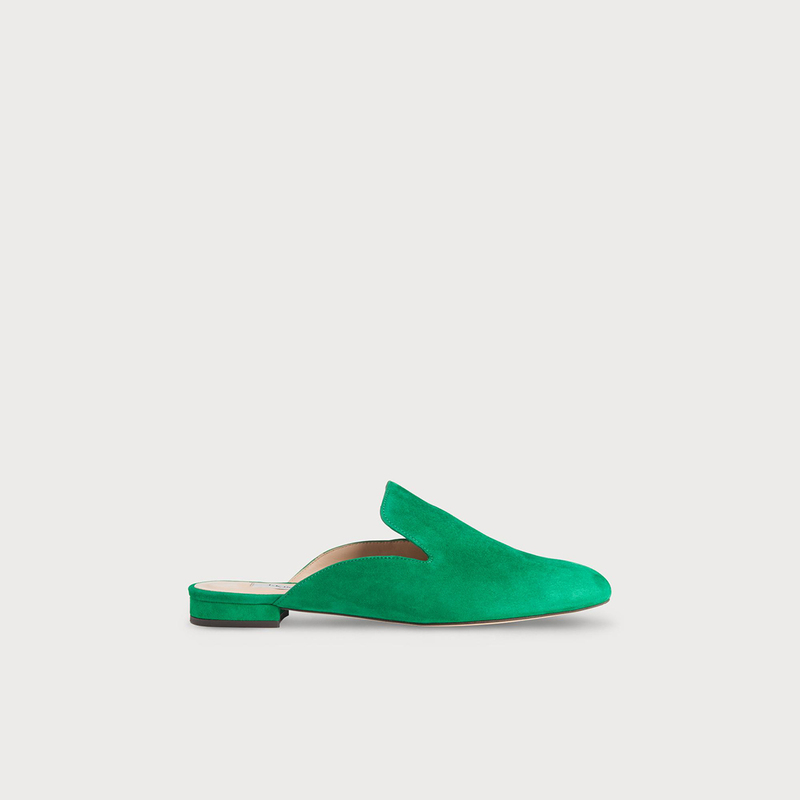 See it: Grab the Erin Mint Leaf Suede Mules (originally $285) now only $143, while supplies last available at L.K. Bennett! For a limited time only receive an additional 25% off these mules! The L.K. Bennett Fitzroy Collection is all about living the most luxurious life possible. So what better way to jump on a life of luxury than in these ultra-luxe Catrina flats! The Catrina’s are the perfect example of what a true minimalist flat looks like while remaining elegant as ever. Crafted from the most luxurious Italian velvet ever, these stunners are featured in orange, black or red. Surely, any (and all!) of those shades are just as stunning as the last. Designed with a pointed-toe and refine low front, these elegant mules are equally effortless. We’d personally opt for a velvet-on-velvet approach for the most glamorous outfit, of course! See it: Grab the Catrina Velvet Flat (originally $275) now only $83, while supplies last available at L.K. Bennett! For a limited time only receive an additional 25% off these mules! Summers move fast, so what better way to embrace all occasions than with a slide on and go summertime staple? Of course, these Elianna sandals are the most versatile option ever! Whether traveling to the tropics or just looking to beat the heat, surely these sandals are the solution. Crafted from super-soft Italian tan suede, the crossover front and flat sole is oh-so-chic! 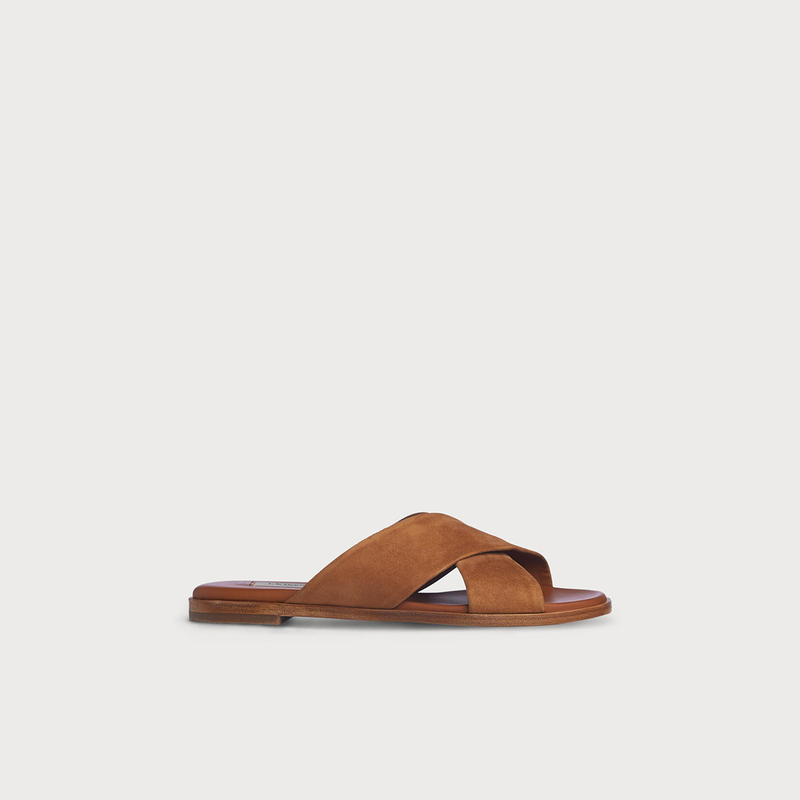 The highly transitional slides are ideal when looking to go from day-to-night. Start the day off on the right foot in a white tee, denim shorts and these sandals! Strut into style (and nighttime) with these stylish sandals and ruffle jumpsuit. Summertime staples have never been sleeker! See it: Grab the Elianna Brown Suede Flat (originally $225) now only $113 while supplies last, available at L.K. Bennett! For a limited time only receive an additional 25% off these mules! Not your style? Check out additional shoe styles on sale, also available while supplies last at L. K. Bennett!